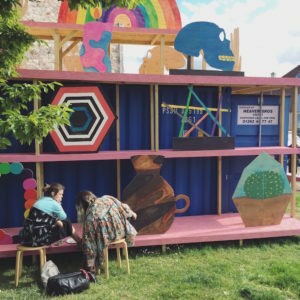 Our Scene Report series continues with a visit to Dumfries, home to the artist-led Stove Network and a lively visual arts scene with a strong focus on community and participation. Martin Joseph O'Neill reports. Dumfries and its surrounding area offer a fascinating balance between ‘rural’ environmental practice and urban methodologies. 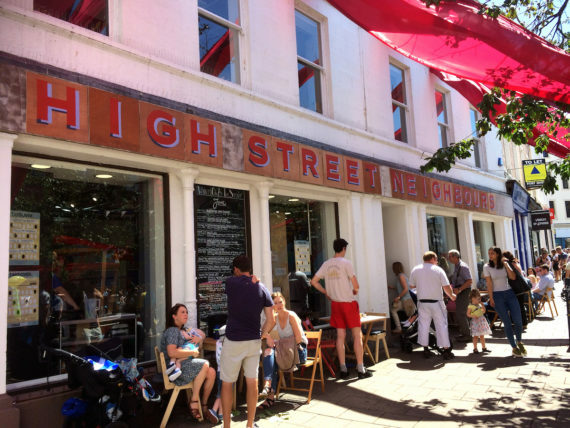 Over the last five years artists and the local community have been working to change the decline of Dumfries High Street. 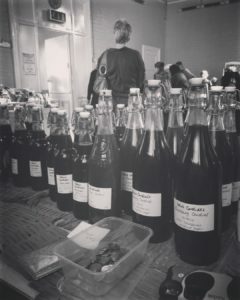 In doing so, they are traversing a radical new relationship between artists, community organisations and local government. The community is shifting perceptions of rural practice, public art and what it means to be a socially engaged practitioner, strengthening the network between artists and the public in the process. At the stern of major cultural activity in Dumfries are the region’s annual arts, music and theatre festivals as well as its artist networks, contemporary galleries and volunteer organisations. In the heart of the town sits the Stove Network, a community arts hub and café based at 100 High Street. 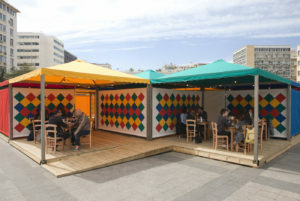 The Stove is a building divided into a performance space, studios, kitchen and workshop space. It was formed in 2012 by a collective of local artists frustrated by the rapid decline of High Street and lack of cultural activity therein. The Stove is primarily interested in engaging the local community to become active citizens throughout its events and interruptions, to engage in conversations around community-led regeneration, public art and activism, using evocative and dramatic interventions through artist commissions and in-house projects. This ‘future visioning’ strand carries on throughout its programme, from music, film, visual art, spoken word nights and creative workshops. Upland is another membership-led organisation, primarily supporting the region’s visual artists and makers by providing residences, mentorships, training and exhibition opportunities both nationally and internationally. Its annual Spring Fling event sees artists/makers opening their studio doors for one weekend in May to exhibit and sell their work to the public. Upland’s new group exhibition, Surge, at the Patriothall Gallery in Edinburgh, aims to highlight the breadth and depth of its artistic community, presenting work from artists at different stages of their careers. Artists include Denise Zygadlo, Patricia Cain, Katie Anderson and Colin Tennant. Dumfries has a small number of intimate galleries including the Yellow Door and Ottersburn Gallery, which showcase work from local artists ranging from painting, photography, sculpture and ceramics. These galleries are volunteer run and provide space in Dumfries for artists based in the wider region to exhibit and network. To the north of Dumfries nearer to Thornhill is the newest contemporary gallery in the region, Cample Line. A welcome addition to the rural scene, throughout August the venue is hosting a programme of experimental short films on the dreams, games and imaginations of children. The largest gallery in Dumfries is the Gracefield Arts Centre which boasts an enviable archive of work with permanent and temporary exhibitions from international and locally-based visual artists. The third weekend of ‘And Now For Something Different: Film And Artists Moving Image’, features a series of screenings of works suitable for a variety of ages. Broadly reflecting on the notion of the ‘journey’, this two-day programme begins with three short animations by Ethiopian artist Ezra Wube, with other films featuring everyday journeys (On the Way to School) alongside singular undertakings (Maidentrip). The ‘And Now…’ programme also includes a two-day film workshop with artist Katie Schwab on the weekend of 2-3 September. The Artist Rooms: Don McCullin exhibition features the British photojournalist’s work documenting decades of war, mass emigration, famine and political upheaval from a career that has seen him covering conflict in, amongst other places, Cambodia, Vietnam and Northern Ireland. Nithraid 2015 from The Stove Network on Vimeo. An all-day (12-10pm) river festival and sail boat race celebrating the town’s relationship with the Nith. 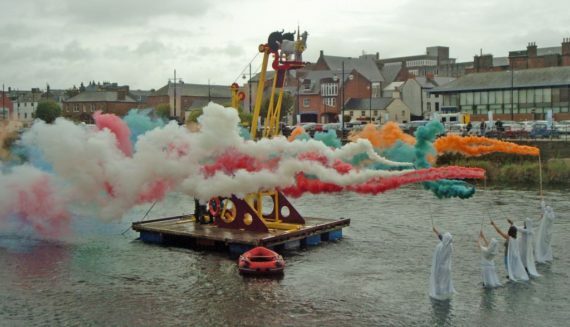 Curated and managed by the Stove Network, Nithraid features a procession artwork to the river, installations, sound art and family activities, followed by the annual dunking of the Salty Coo. 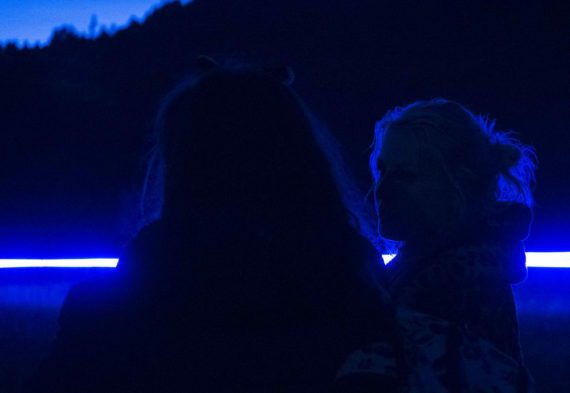 A 24-hour site-specific public art laboratory and experimental space in the Galloway Forest dark skies park. This year’s festival sees work from a broad spectrum of artists exploring new practices, ideas and experiments, from our relationship with the dark to encryption and isolation. CORRECTION: This article has been amended to take out reference to an Andy Goldsworthy exhibition at Cample Line which was described as ‘permanent’. The exhibition has in fact now finished. Martin Joseph O’Neill is an artist and curatorial member of the Stove Network, Dumfries.